One historical record has added a new species to the Massachusetts State List. 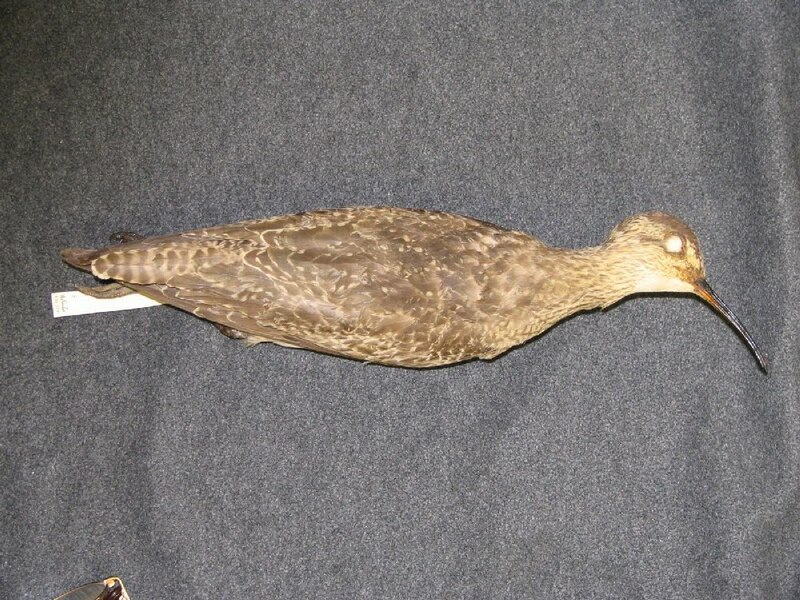 A Willow Ptarmigan collected in 1859 was reviewed and accepted by the Committee. We recommend that readers consult Veit and Petersen’s Birds of Massachusetts (1993) for additional details about other records of historical significance (although Willow Ptarmigan is not included in their publication). Three additional new species have been added to the State List with the current report. 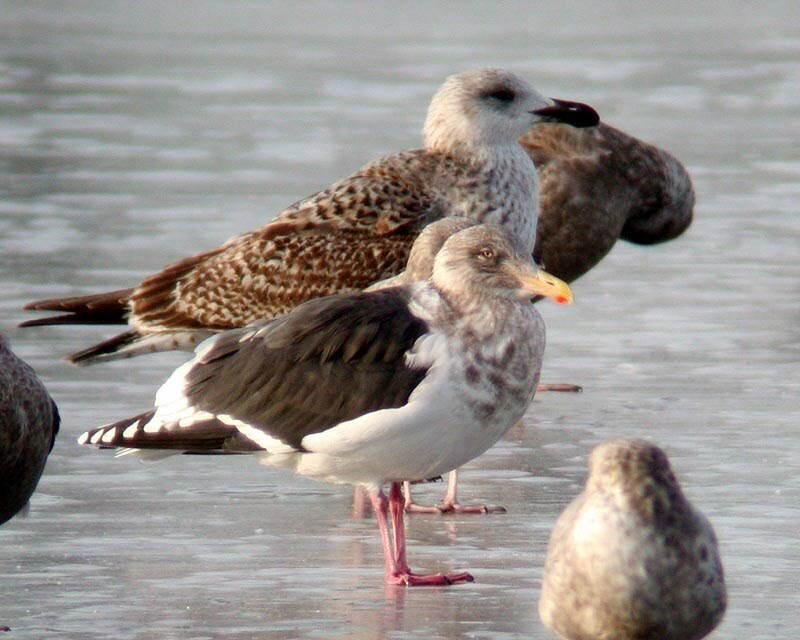 Three Slaty-backed Gulls discovered practically within two hours of each other in December 2007 provided Massachusetts with its first records of this apparently rapidly increasing larid. A flock of Black-bellied Whistling-Ducks in Ipswich in June 2008 was previously seen earlier in Nova Scotia the same season, and a Broad-billed Hummingbird visited a feeder in Dennis from August to December of 2008. These additions bring the total state list to 491 species. The Committee also amended its Bylaws, the Committee now treats pelagic records occurring within the ocean region defined by the median line between Massachusetts and the nearest point outside the state, and extending 200 miles offshore. The previous limit was 100 miles offshore. Some readers may also notice a change in the numbering protocol for records. In previous years each record was assigned a number beginning with two digits representing the year of the sighting, e.g., “96” for 1996, or “08” for 2008. Since this will eventually lead to confusion, records in this and all future reports will be assigned the full four digits representing the year. Current members of the MARC are Dennis Abbott, David Clapp, Davis Finch, Richard Heil, Marshall J. Iliff, Erik Nielsen, Blair Nikula, Robert H. Stymeist, and Jeremiah Trimble (Chair). Marjorie Rines is Secretary. For more information on the Massachusetts Avian Records Committee, including a complete state list, go to: <http://www.maavianrecords.com>. Fulvous Whistling-Duck (Dendrocygna bicolor), #1974-01, July 21, 1974, Rowley (Essex), W. Petersen et al., R. Forster (ph), (First Ballot. 9-0). This record was accompanied by a photograph depicting three birds and was the first such record accepted by the Committee. 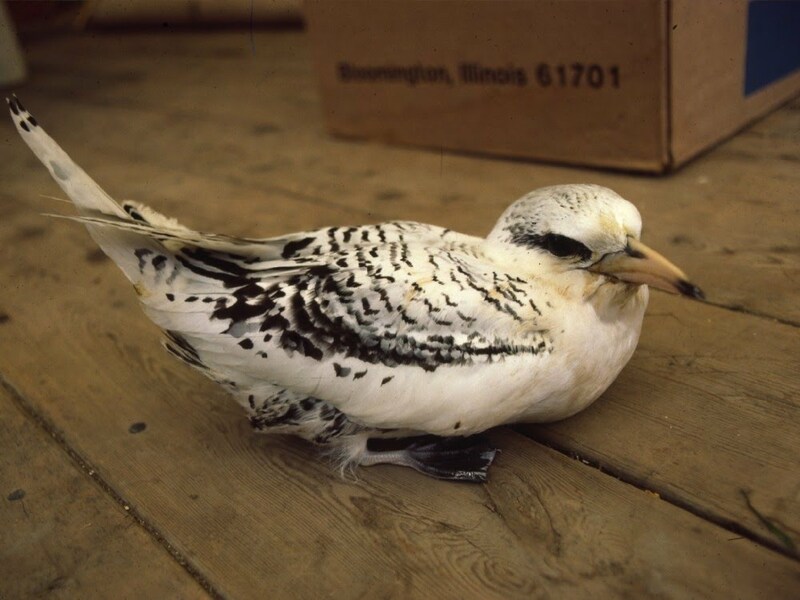 White-tailed Tropicbird (Phaethon lepturus), #1985-03, September 27, 1985, S. Chatham (Barnstable), B. Nikula, P. Trull. (First Ballot. 9-0). #1985-04, September 28, 1985, Byfield (Essex), L. Abusamara. (First Ballot. 8-1). 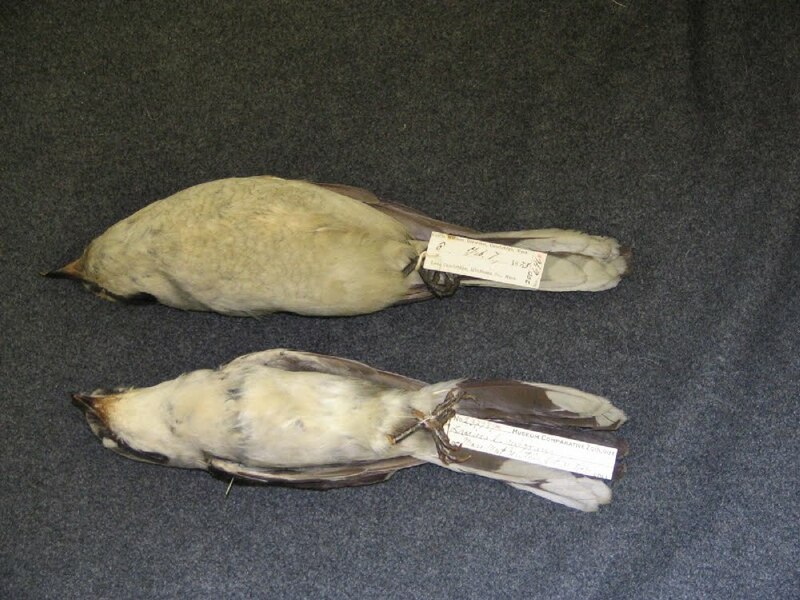 There are at least seven records of this species, including these two 1985 records discovered one day apart. The Chatham bird was a well-described bird (Bird Observer, Vol. 13, #6) seen flying past during a storm vigil, while the Byfield bird was discovered in distress, photographed in captivity, rehabbed, and flown to Bermuda for release. 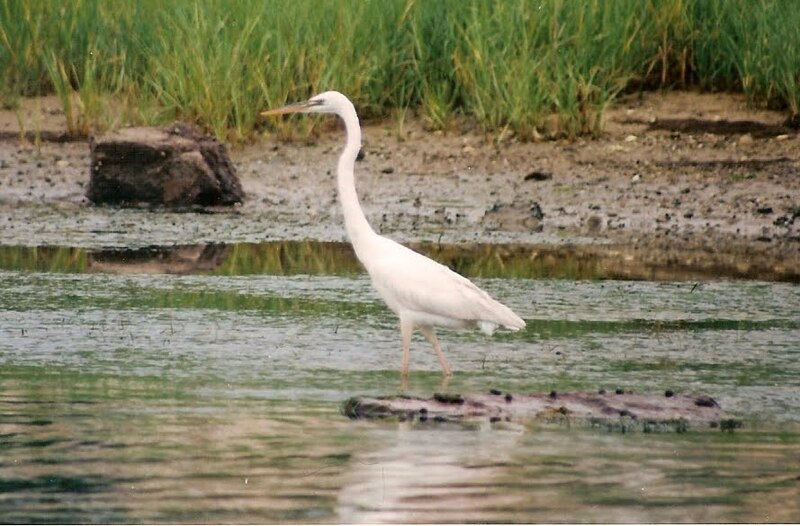 “Great White” Heron (Ardea herodias occidentalis), #1996-28, July 10, 1996, Nauset Marsh (Barnstable), (First Ballot. 8-1). The “Great White” Heron is currently believed to be a distinctive subspecies of Great Blue Heron occurring in southernmost Florida, Cuba, the Isle of Pines and the Yucatan Peninsula (AOU 1998). The well-photographed Orleans bird was widely observed and represents not only the first state report of this form, but also the northernmost in North America. Western Reef-Heron (Egretta gularis), #1983-05, April 26-September 13, 1983, Nantucket (Nantucket), Andrews et al. (First Ballot. 9-0). First identified as a Little Blue Heron (Egretta caerulea), this first North American record was definitively identified in July, when it was clearly photographed and seen by many over its five-month stay. 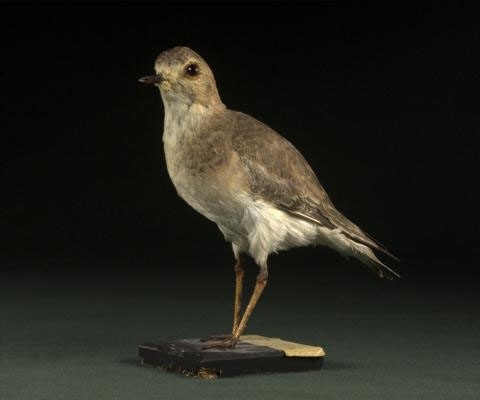 Mountain Plover (Charadrius montanus), #1916-01, October 28, 1916, Chatham (Barnstable), A.E. Crowell. (First Ballot. 9-0). 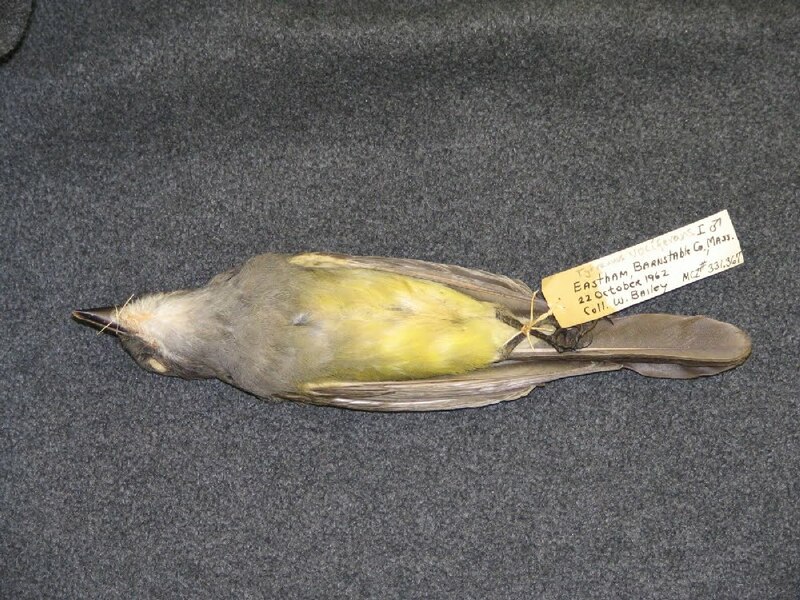 The single occurrence of this species in Massachusetts involves this bird which was “collected fortuitously” and is now a mounted specimen at the Boston Museum of Science. Committee members have viewed photographs of the specimen (MOS X03.159). 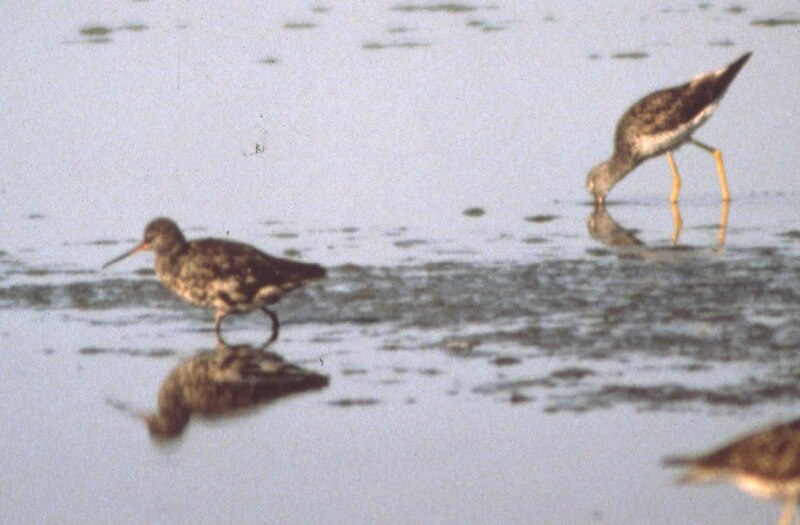 Spotted Redshank (Tringa erythropus), #1981-03, July 28, 1981, Plum Island (Essex), J. Cloughley. (First Ballot. 9-0). #1990-06, July 31-August 19, 1990, Wellfleet (Barnstable), M. Smith, P. Kaufman. (First Ballot. 9-0). Both records involved adults in pre-basic molt. The Plum Island bird was seen for only one day but was well photographed. The bird discovered at Wellfleet Bay Wildlife Sanctuary lingered for over two weeks and was seen by many observers and identifiably photographed. These are the only two accepted records of this Eurasian species for Massachusetts. Eskimo Curlew (Numenius borealis), #1885-02, September 7, 1885, Chatham (Barnstable), J. Thayer. (First Ballot. Vote 9-0). A MCZ specimen (301738) was photographed and accepted by the committee to formalize the placement of the species on the state list. Historically regular in Massachusetts at localities such as Nantucket following protracted Nor Easters in the fall, there have been no credible Massachusetts records since 1913 and many believe the species to be extinct. Sharp-tailed Sandpiper (Calidris acuminata), #1971-02, June 30, 1971, Plymouth Beach (Plymouth), K. Hartel. (First Ballot. 9-0). This unseasonal adult in alternate plumage was collected by J. A. Hagar and Committee members were able to examine the specimen (MCZ 329444), which was also photographed for the archives. There are two other records of this species (both in Fall). 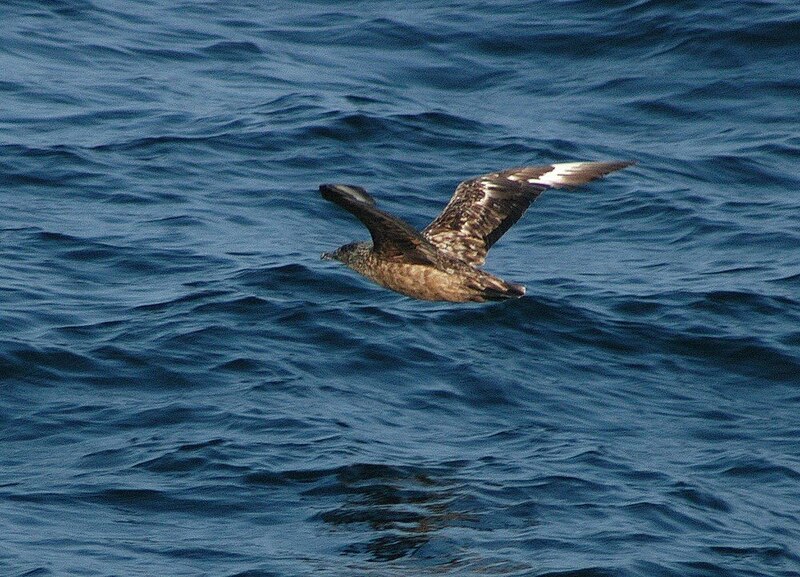 Great Skua (Stercorarius skua), #2004-42, August 28, 2004, Nantucket Shoals, R. Heil, J. Trimble (ph). (First Ballot. 9-0). This species occurs occasionally, if not regularly, offshore of Massachusetts but documentation had never been submitted to the MARC. The Committee acted on a recent record of two individuals that were well photographed. Ivory Gull (Pagophila eburnea), #1976-04, December 22, 1975-March 5, 1976, Salisbury (Essex), Strickland et al. (First Ballot. 9-0). Prior to 2009 there were only nine records of Ivory Gulls in Massachusetts, none more recent than 1985. The first-winter bird in Salisbury was widely seen and well photographed during its lengthy visit. Brown Noddy (Anous stolidus), #1957-02, August 27-September 3, 1957, Nantucket (Nantucket), P. Heywood. (First Ballot. 8-1). Mason and Robertson identified this individual from photographs as a first-summer Brown Noddy. Although these photographs have not been discovered, eight members were willing to accept this record based on the identification by experts at the time. Long-billed Murrelet (Brachyramphus perdix), #1982-05, September 17, 1982, Middleborough (Plymouth), J. Harrison, K. Anderson. (First Ballot. 9-0). 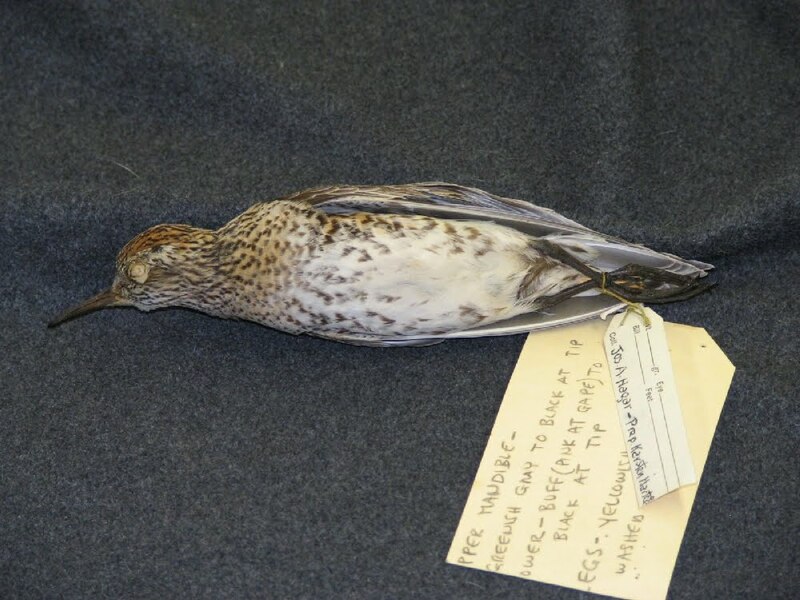 An adult in alternate plumage that was brought by a housecat to the home of John Harrison located near Black Brook Swamp in Middleborough, was identified as Brachyramphus perdix, which at that time was considered a subspecies of the Marbled Murrelet (B. marmoratus). Photographs of the preserved specimen (USNM 599498) taken by Phil Davis have been examined by the Committee. Common Cuckoo (Cuculus canorus), #1981-04, May 3, 1981, Vineyard Haven (Dukes), A. Brown et al. (First Ballot. 9-0). This impeccably documented record was mist-netted, measured, and photographed in the hand, thus differentiating it from the similar Oriental Cuckoo (C. optatus). Although a rare migrant in western Alaska (AOU 1998), the only other New World records away from Alaska pertain to individuals at Barbados, November 5, 1958 (Bond 1993) and Greenland, June 16, 1968 (Boertmann 1994). Northern Hawk Owl (Surnia ulula), #1958-01, November 29, 1958-January 21, 1959, Concord (Middlesex), Holden et al. (First Ballot. 9-0). #1965-01, January 17-March 3, 1965, Hinsdale (Berkshire), Fitzes et al. (First Ballot. 9-0). Both records were well-documented with photographs. Prior to 1890 there were numerous credible reports of this species, but since that time it has been found less frequently. The most recent report pertains to a sight record by a single individual in South Wellfleet, February 11, 1970. 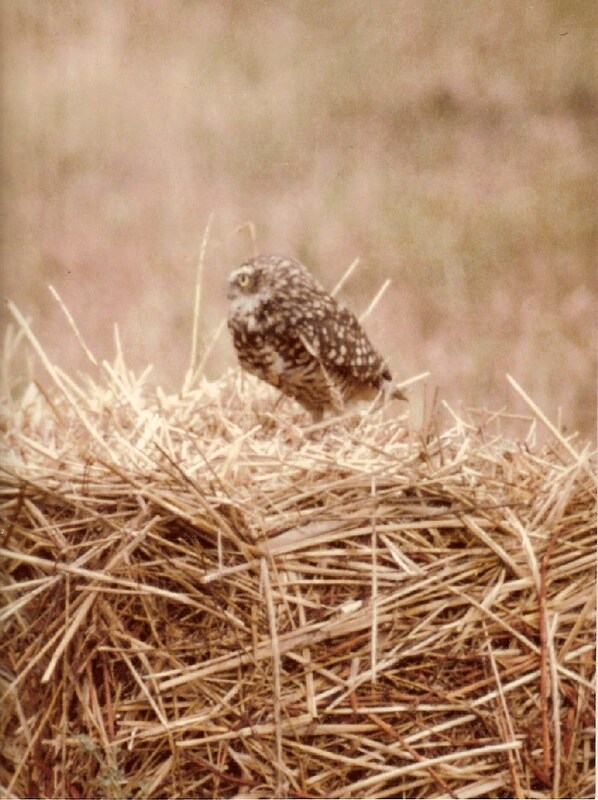 Burrowing Owl (Athene cunicularia), #1980-03, July 12-October 1, 1980, Katama (Dukes), V. Laux et al. (First Ballot. 9-0). This long-staying individual was well-photographed. There are a surprising number of records of Burrowing Owls in the East, including six others from Massachusetts. Great Gray Owl (Strix nebulosa), #1973-03, January 22-March 31, 1973, Gill (Franklin), Vose, C. Leahy (ph). (First Ballot. 9-0). This record was documented by a number of diagnostic photographs. Great Gray Owls are rare and irregular visitors to Massachusetts, but are considerably more regular than Northern Hawk Owls. A single bird widely seen in Rowley throughout February and March 1996 represents the most recent occurrence. Allen’s Hummingbird (Selasphorus sasin), #1988-03, August 26, 1988, Nantucket (Nantucket), E. Andrews, A. Bennet. (First Ballot. 9-0). 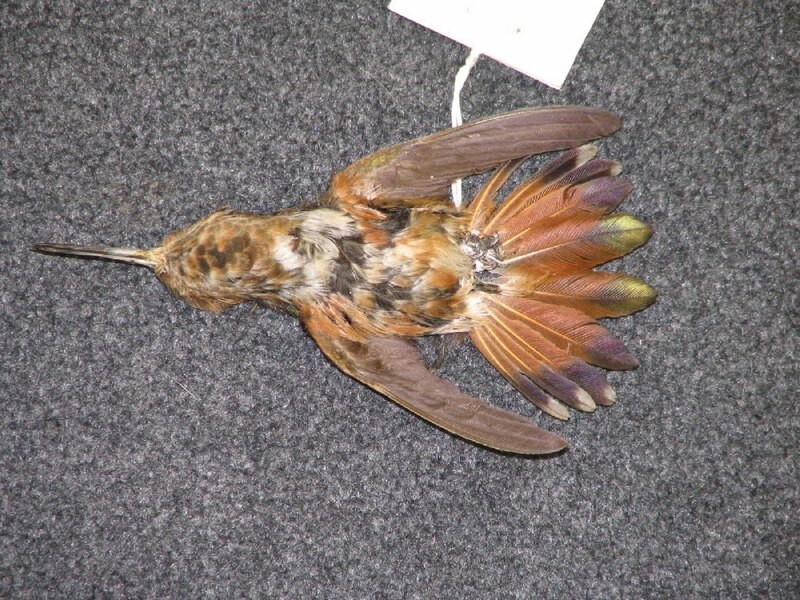 Only the second occurrence of a Selasphorus hummingbird in Massachusetts, this bird was mist-netted but expired during its brief stay in captivity (MCZ 332830). The Committee was able to re-examine the specimen and photographs are on file. It is ironic that only two decades later, dozens of Rufous Hummingbirds (S. rufus) have been documented, yet there have been no additional records of Allen’s. Lewis’s Woodpecker (Melanerpes lewis), #1966-01, May 2-23, 1966, Naushon Island (Dukes), Frotheringham et al. (First Ballot. 9-0). Diagnostic photos on file taken by Wallace Bailey confirm this first Massachusetts record. 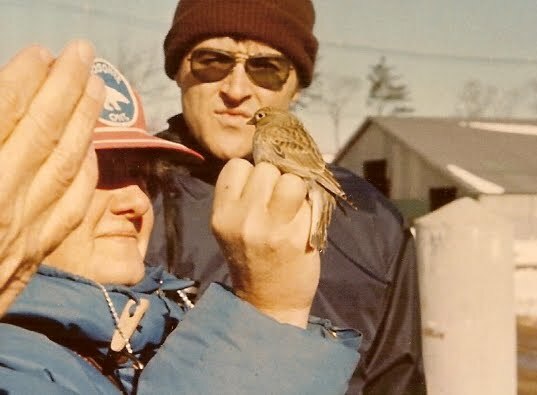 A second Bay State occurrence was a bird well documented by many at West Newbury, June 2-4, 1969. Cassin’s Kingbird (Tyrannus vociferans), #1962-02, October 21, 1962, Eastham (Barnstable), W. Bailey, collected by R. Clem. (First Ballot. 9-0). This species has occurred three times in the state. The first individual was discovered among a group of four Western Kingbirds (T. verticalis). The Committee examined the specimen (MCZ 331367) and archived photos of this individual. Of the other two Massachusetts records, the most recent is November 1-2, 2002 in Hadley (MARC Report 7). Loggerhead Shrike (Lanius ludovicianus), #1872-01, October 31, 1872, W. Newton (Middlesex), H. A. Prudie. (First Ballot. 9-0). Although this species was formerly a regular migrant and rare breeder in the state, there are few documented records. A specimen (MCZ 237989) was photographed and examined by members of the MARC. This species has declined drastically throughout the Northeast and is now an extreme rarity in Massachusetts. Brown-chested Martin (Progne tapera), #1983-04, June 12, 1983, Monomoy Island (Barnstable), Petersen, Nikula, Holt. (First Ballot. 9-0). The first Brown-chested Martin to occur in North America was definitively photographed, however it eventually succumbed (USNM 699678). It was confirmed to pertain to the migratory southern subspecies P. t. tapera and was discussed in full by Petersen et al. (1986). The four subsequent United States sight records hail from New Jersey, Florida, Connecticut, and Arizona. 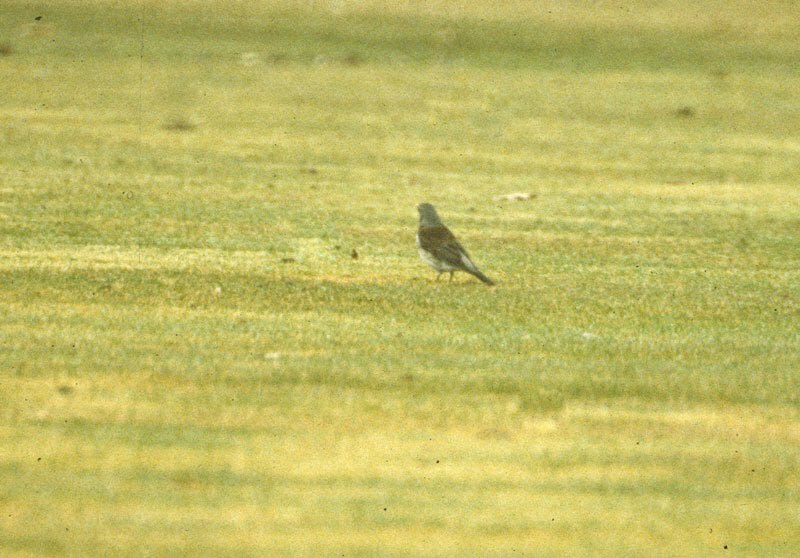 Fieldfare (Turdus pilaris), #1986-04, April 4-14, 1986, Concord (NAC) (Middlesex), R. Richards. (First Ballot. 9-0). Over a ten-day period this sole state record was seen by scores of observers. Although seen by scores of observers over its ten-day stay, photos could not be located prior to review, so the Committee reviewed a published description and sketch from an article published in Bird Observer (Richardson 1986). After acceptance, Mark Szantyr provided photos which supplement the record. Sprague’s Pipit (Anthus spragueii), #1988-04, December 17, 1988-February 12, 1989, Provincetown (Barnstable), J. Smith, R. Heil, R. Everett (ph). (First Ballot. Vote 9-0). The first of only two state records of this species was seen by many observers over a two-month period. A photograph provides clear documentation. Painted Redstart (Myioborus pictus), #1947-01, October 18-19, 1947, Marblehead Neck (Essex), C. de Windt. (First Ballot. 8-1). The Painted Redstart was present for two days and was seen by many. It was photographed with a motion picture camera; however, it has not been possible to locate this film. Nonetheless, eight Committee members concurred that given the number of observers (including Ludlow Griscom) it merited acceptance. Brewer’s Sparrow (Spizella breweri), #1873-01, December 15, 1873, Watertown (Middlesex), W. Stone. (First Ballot. 9-0). The only Massachusetts record for this species was collected and is archived at the MCZ (MCZ 200968). Members had the opportunity to personally examine this specimen and photographs were taken for the official MARC record, establishing one of very few records for the East. “White-winged” Junco (Junco hyemalis aikeni), #1994-25, April 1, 1994, Marion (Plymouth), R. Harlow, B. Evill. (First Ballot. 8-1). This individual was mist-netted, measured, and photographed. Although some “Slate-colored” Juncos (Junco hyemalis hyemalis) may have wingbars, this bird also exhibited the tail pattern, body color, and dark lores of aikeni, convincing eight Committee members of the correctness of the identification. This represents a unique and surprising record for Massachusetts, since there are no other records of this race east of Michigan (AOU 1998). 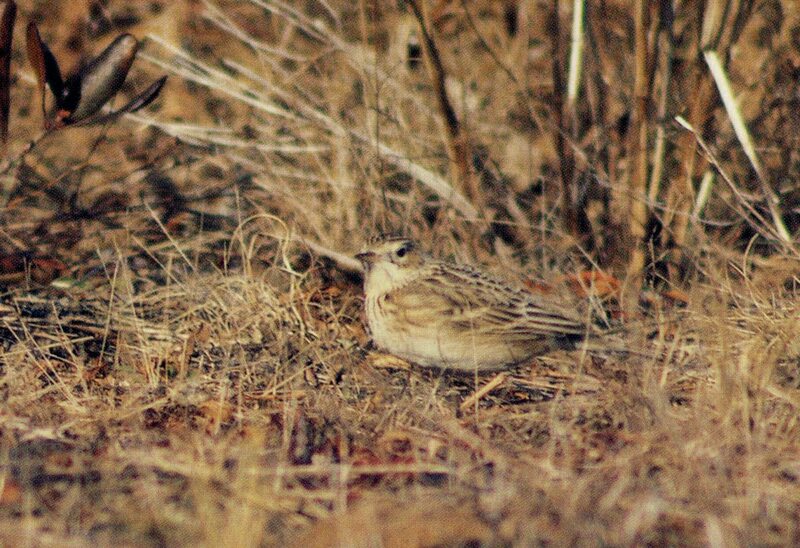 McCown’s Longspur (Calcarius mccownii), #1977-03, January 9-26, 1977, Bridgewater (Plymouth), W.Petersen et al. (First Ballot. 9-0). 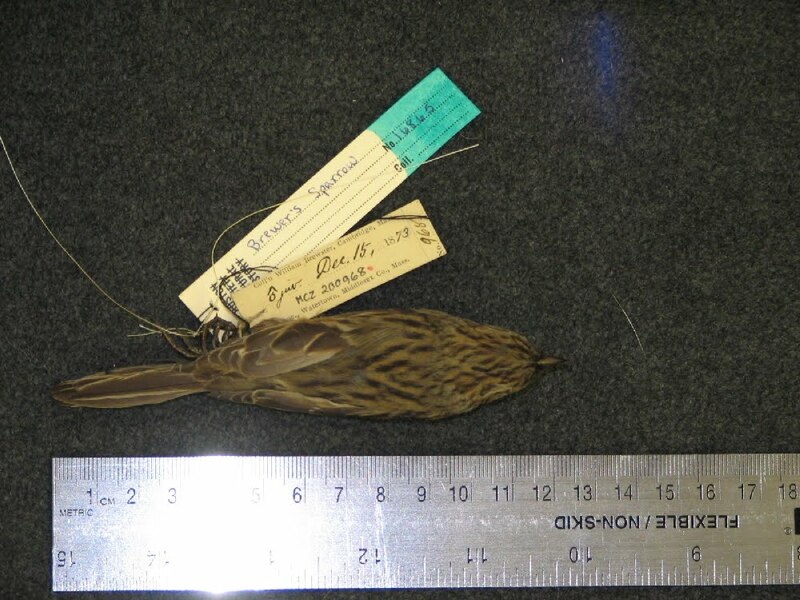 The sole East Coast record of McCown’s Longspur pertains to this bird that was seen by many, photographed, captured, banded, and released in Bridgewater. Black-headed Grosbeak (Pheucticus melanocephalus), #1962-01, December 6-8, 1962, Weston (Middlesex), Baird et al. (First Ballot. 9-0). Although there are many Massachusetts reports of this species, only a few are well documented. This immature male was trapped and photographed in the hand. Fulvous Whistling-Duck (Dendrocygna bicolor), #1983-06, August 7, 1983, Monomoy (Barnstable), R. Everett. (First Ballot. 1-8). Two birds were photographed and initially identified as Fulvous Whistling-Ducks, however it was not until 2007 that they were re-determined to be Northern Pintails (A. acuta). The Committee acted on this report to clarify the published record. Cassin’s Vireo (Vireo cassinii), #1991-08, November 16, 1991, Rockport (H.P.) (Essex), T. Leukering. (First ballot. 1-8). Although Blue-headed (Vireo solitarius) and Cassin’s vireos were still considered conspecific with Solitary Vireo (Vireo solitarius, sensu lato) at the time of this report, a vireo bearing the characteristics of this form was identified as Vireo solitarius cassinii (now Vireo cassinii) at the time of observation. This sighting was carefully described but more has been learned about identifying this species since the original sighting. Important field marks such as throat color, the strength of the blue-white throat division, the width of tertial fringes, and rectrix edging were not mentioned, nor were they apparent in poor-quality photos taken at the time of the observation. In recent comments to the Committee, the observer himself no longer considers the identification to be certain. Black-bellied Whistling-Duck (Dendrocygna autumnalis), #2008-20, June 6, 2008, Ipswich (Essex), J. Style et al. P. Brown (ph), R. Heil (ph) (First ballot. 8-1). This is the first accepted record of this species in Massachusetts. This flock of nine was first discovered in a series of small ponds at 240 County Road, Ipswich. Apparently, the same flock of nine was observed at Country Harbor, Nova Scotia May 24-June 4, including one bird with a recognizable large growth on its forehead proving that the two flocks were one and the same. These birds were seen and well photographed by many in the short time that they were present. Records of vagrant waterfowl are difficult for the Committee to assess due to the possible occurrence of escaped captive birds. However, the timing of this record fits well with an emerging pattern of vagrancy in this species and none of the birds showed signs of captive origin, such as bands, damaged legs, feet, or feathers. Black-bellied Whistling-Duck populations have been increasing and expanding in the south-central United States in recent years and instances of vagrancy have increased in the Midwest and other eastern states. 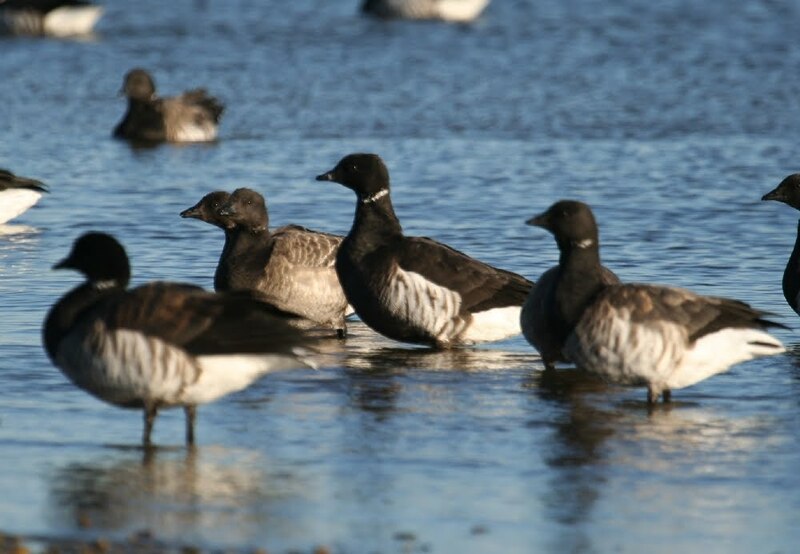 Black Brant (Branta bernicla nigricans), #2006-61, October 30, 2006, Plymouth (Plymouth), M. Iliff (ph). (First ballot. 9-0). #2007-53, November 6-December 7, 2007, Plymouth (Plymouth), M. Iliff (ph). (First ballot. 9-0). Both records pertain to adults from Nelson Street Field in Plymouth and likely represent the same bird returning in a subsequent year. Both records were documented with diagnostic photographs. Barnacle Goose (Branta leucopsis), #2008-10, March 22, 2008, N. Amherst (Hampshire), D. Peake-Jones. (First ballot. 9-0). #2007-41, December 31, 2007-January 12, 2008, Sharon (Norfolk), M. Iliff, G. Leganza et al.. (First ballot. 9-0). #2007-20, one adult, October 11-23, 2007, Concord (Middlesex), W. Hutcheson et al., many photos (First ballot. 9-0). All of these individuals were well photographed adults. A strong pattern of occurrence has emerged throughout northeastern North America in recent years, with multiple additional records coming from all six New England states. Cackling Goose (Branta hutchinsii), #2007-40-B, November 27, 2007, Turners Falls (Franklin), H. Galbraith. (First ballot. 9-0). This report of nine individuals represents the largest flock yet recorded in Massachusetts. “Richardson’s” Cackling Goose (B. h. hutchinsii) has proven to be an annual visitor to Massachusetts in recent years, although this apparently drastic increase in reports probably does not represent a true change in status so much as increased vigilance and competence in finding and identifying this species since being split from Canada Goose in 2004. Pacific Loon (Gavia pacifica), #2008-01, February 25, 2008, Rockport (Essex), R. Heil. (First ballot. 9-0). A detailed field sketch eliminated the possibility of any other species. Although this species has no doubt been an annual visitor throughout the Northeast for at least half a century, much confusion surrounds its actual status because misidentification has often been proven. Western Grebe (Aechmophorus occidentalis), #2007-36, November 25-26, 2007, Plum Island (Essex), I. Davies. (First ballot. 8-1). A well photographed bird on the ocean off Plum Island eliminated the possibility of the very similar Clark’s Grebe (A. clarkii). Since Clark’s Grebe has now been confirmed in Maine and Virginia it must be considered in any Aechmophorus report. 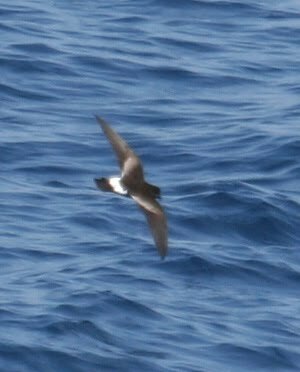 Band-rumped Storm-Petrel (Oceanodroma castro), #2007-42, August 25, 2007, Hydrographer Canyon, M. Iliff (ph). (First ballot. 9-0). This well-photographed bird was discovered on a pelagic trip to the Continental Shelf waters south of Nantucket (40.12667° N, 69.09333° W). This species has been found on four out of the ten annual trips to this area in July and August, and is very probably regular here in small numbers. White-faced Ibis (Plegadis chihi), #2008-15, May 2-19, 2008, Newbury (Essex), W. Petersen, R. Heil (ph). (First ballot. 9-0). This adult in breeding plumage was well described and photographed. White-faced Ibis has been reported in this same area on three previous occasions since 2003. Records have increased markedly in the Northeast in recent decades, and since many White-faced Ibises have been found near, or among, breeding colonies of Glossy Ibises (P. falcinellus) birders should watch for potential hybridization in the northeast. Swallow-tailed Kite (Elanoides forficatus), #2008-03, March 10, 2008, Edgartown (Dukes), W. Marks, L. McDowell (ph). (First ballot. 9-0). Originally seen on March 10, this adult was discovered dead four days later. Although rare in Massachusetts, Swallow-tailed Kites typically occur in the spring from mid-April to mid-June, so this record represents an exceptionally early date. The only earlier appearance was March 8, 1991 at Great Island, West Yarmouth. Swainson’s Hawk (Buteo swainsoni), #2007-26, September 26-October 2, 2007, Cumberland Farms fields, Middleboro/Halifax (Plymouth), C. Nims et al. (First ballot. 9-0). This dark morph juvenile was seen and photographed by many during its extended stay. Of five previous records accepted by the MARC, this is the third from this location. “Kamchatka” Mew Gull (Larus canus kamtschatschensis), #2007-02, January 2-3, 2007, Gloucester (Essex), E. Enbody, R. Heil. (many photos). (First ballot. 8-1). This well documented adult represents the first Massachusetts record for this subspecies. L. c. kamtschatschensis is the largest Mew Gull subspecies, a form that is native to eastern Asia and only casual in the western Aleutians and Pribilof Islands of Alaska (AOU 1998). Although all Committee members agreed on the identification as Larus canus, one dissenting member expressed concern that although this individual was larger than a typical L. c. canus, the intermediate-sized L. c. heinei could not be eliminated. Nearly all prior well-documented records of Mew Gull in Massachusetts have pertained to the nominate European race, L. c. canus, known in Europe as Common Gull. Slaty-backed Gull (Larus schistisagus), #2007-54, one adult, December 23, 2007-March 9, 2008, Gloucester (Essex), D. Sibley, H. Galbraith (details). (First ballot. 9-0). #2007-48, one adult, December 23, 2007, Eastham (Barnstable), W. Petersen, D. Larson. (First ballot. 9-0). #2007-55, one fourth-winter, December 24-25, 2007, Gloucester (Essex), R. Heil. (First ballot. 9-0). Although only the Gloucester birds were photographed, the Eastham bird was well-described. Over the past five years, the incidence of Slaty-backed Gull away from Alaska has increased markedly. The California Bird Records Committee accepted its first Slaty-backed Gull in 2005 and had seventeen accepted records by its 2007 report (Heindel and Garrett 2008). New England has followed a similar pattern with its first record in New Hampshire in December 2003 and seven subsequent reports through December 2008. Menacing Gloucester bird by P. Brown. White-winged Dove (Zenaida asiatica), #2008-19, June 02, 2008, Tuckernuck (Nantucket), R. Veit. (First ballot. 8-1). A brief description of this flyby sighting satisfied eight Committee members. Twelve of Massachusetts’ twenty-six reports have come from Nantucket and Dukes Counties. Broad-billed Hummingbird (Cynanthus latirostris), #2008-21, August 23-December 8, 2008, Dennis (Barnstable), M. Murphy, C. McGibbon, S. Finnegan (banded), many photos. (First ballot. 9-0). The distinctive plumage of this adult male hummingbird is what first caught the attention of the homeowners, who invited a bander to trap and photograph the bird, thus documenting the first report for this species for Massachusetts.. They kept a warm, sheltered feeder for the bird and welcomed birders to their home to see it well into December. 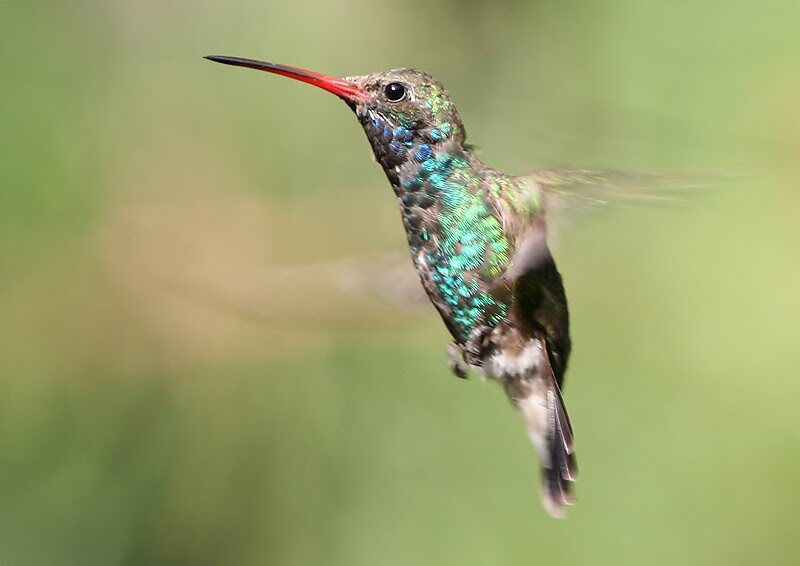 A widespread resident in Mexico breeding north to Arizona and New Mexico, Broad-billed Hummingbird has only been recorded in the eastern United States on a few occasions. Remarkably, an adult male was also photographed in Connecticut on August 13, 2008, just ten days before the discovery of the Massachusetts bird. Black-chinned Hummingbird (Archilochus alexandri), #2007-22, imm. male, October 22-29, 2007, W. Tisbury (Dukes), L. McDowell, S. Finnegan (photos). (First ballot. 9-0). #2007-30, imm. female, November 7, 2007, Nantucket (Nantucket), V. Laux (photos). (First ballot. 9-0). Since the second state record for this species was in 2005 (see Report Eleven), it was extraordinary to have two more records less than five years later, both within days of each other. 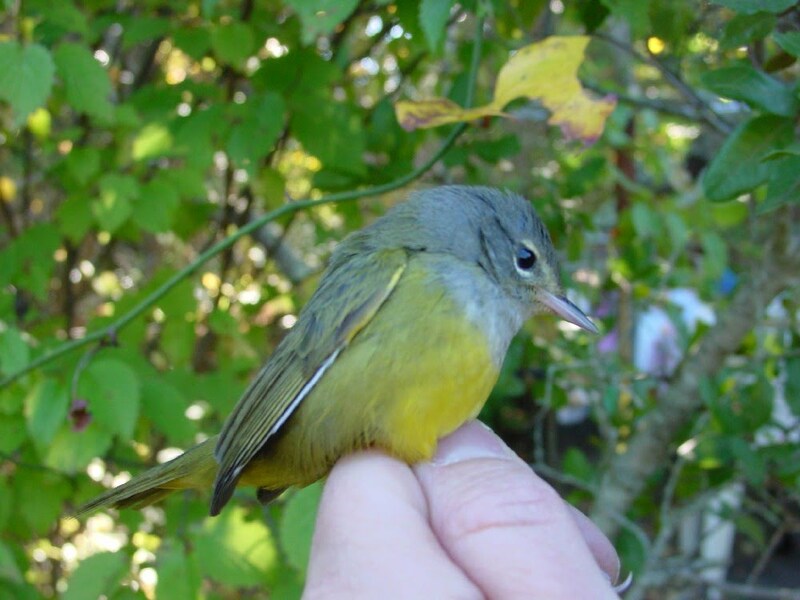 Both birds were well photographed, and the West Tisbury bird was also measured and banded. West Tisbury bird on 10/27/07. Calliope Hummingbird (Stellula calliope), #2008-18, August 1-2, 2008, Deerfield (Franklin), R. Ranney-Blake (details, photos). (First ballot. 9-0). This adult male that visited a feeder and was photographed and well-described left no doubt about its identification. It represented the first Massachusetts occurrence in August and the first away from southeastern Massachusetts. 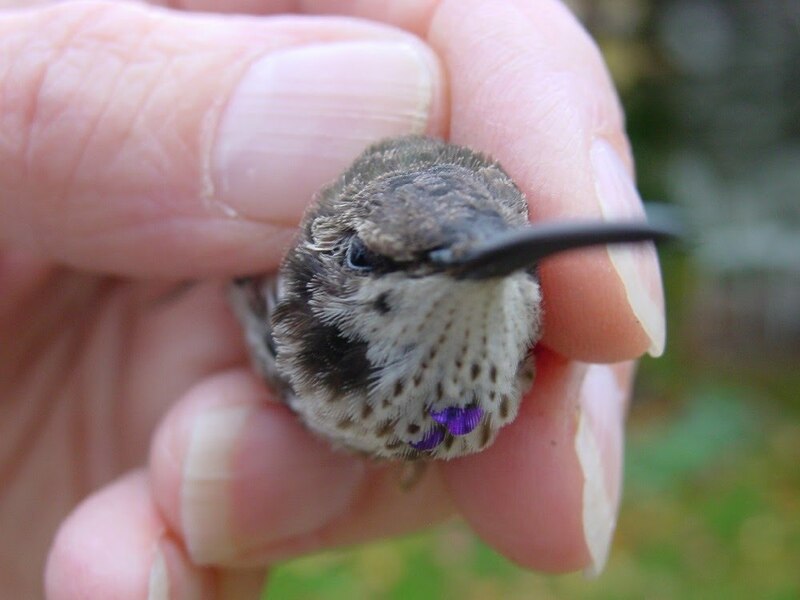 The state’s first Calliope Hummingbird occurred in December 2002, and remarkably, three individuals were documented in fall 2007. 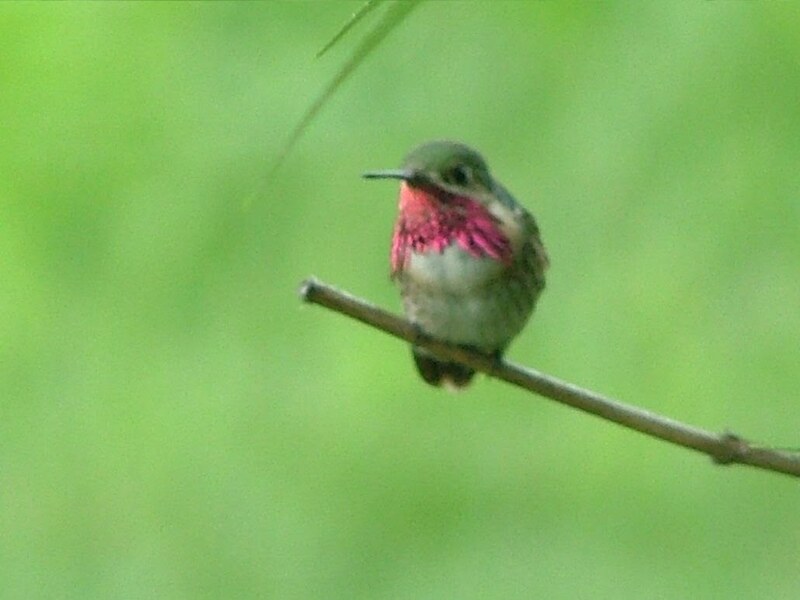 Rufous Hummingbird (Selasphorus rufus), #2007-34, ad. female, November 16-December 31, 2007, Eastham (Barnstable), S. Finnegan (banded). (First ballot. 9-0). #2007-32, imm. 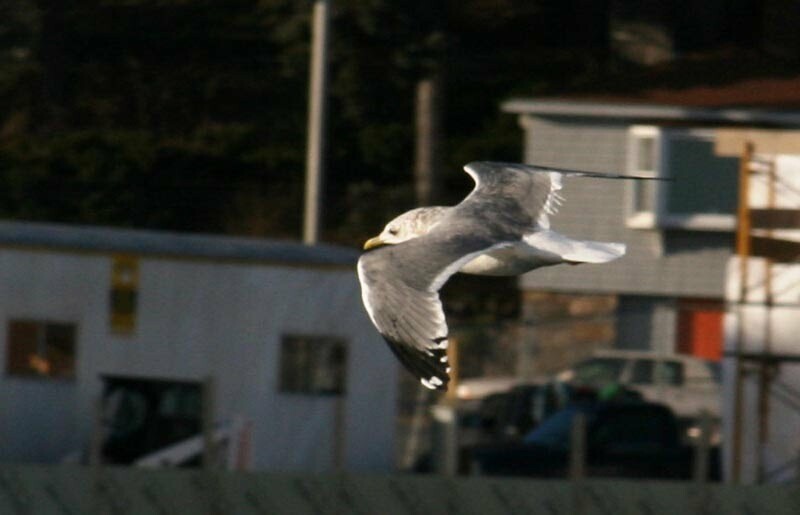 female, November 10, 27-December 21, 2007, N. Falmouth (Barnstable), I. Nisbet, S. Finnegan (banded). (First ballot. 9-0). #2007-35, imm. male, November 19, 2007-January 12, 2008, Marshfield (Plymouth), H. Koelsch, S. Finnegan. (First ballot. 9-0). #2007-31, imm. male, September 28-November 14, 2007, Pittsfield (Berkshire), T. Collins, A. Hill (banded), S. Surner ph. (First ballot. 9-0). Rufous Hummingbirds have become almost routine occurrences in the fall, although most reports tend to come from southeastern Massachusetts. All four of the current reports were banded and photographed. Apus species, #96-21R, July 14, 1996, Chappaquiddick (Dukes), resubmitted by W. Petersen. (Third ballot. 8-1). This controversial record involved a large swift seen and photographed at the lighthouse on Chappaquiddick Island in the wake of Hurricane Bertha. The bird was originally accepted as a “Large, fork-tailed swift species” (see Report Four), but further analysis of the photographs revealed a tail shape that eight Committee members believed could only be that of an Apus swift. Common Swift (Apus apus) has been recorded from St. Pierre et Miquelon and quite likely was represented by this record; however, the Committee could not rule out Pallid Swift (Apus pallidus). Black-backed Woodpecker (Picoides arcticus), #2004-41, September 24, 2004, Barnstable (Barnstable), S. Vince (ph.). (First ballot. 9-0). This sighting was discovered when it was submitted to eBird <www.ebird.org> and on follow-up the observer submitted excellent, diagnostic photos of an adult male. Ash-throated Flycatcher (Myiarchus cinerascens), #2007-52, November 8-28, 2007, Carlisle (Middlesex), M. Iliff (details, ph. ), (First ballot. 9-0). Homeowners who initially reported this bird welcomed the many birders who came to enjoy it. Fork-tailed Flycatcher (Tyrannus savana), #2008-17, April 12-15, 2008, Brighton (Suffolk), D. Kierdorf, J. Dunlavy, P. Kinnally (details) many photos. (First ballot. 9-0). This record-early bird was enjoyed and photographed by dozens. Photographs of the spread wing showed deeply emarginated outer three primaries characteristic of an adult male of the nominate southern South American subspecies, T. s. savana. Gray Jay (Perisoreus canadensis), #2007-44, October 28-November 24, 2007, Mount Watatic (Worcester), S. Blanchard, D. Fischi, many photos. (First ballot. 9-0). 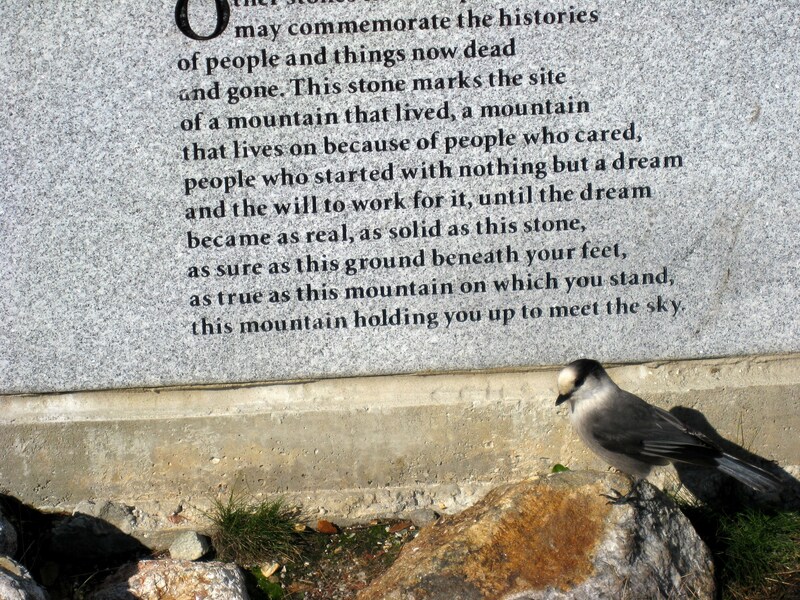 Over its one month stay, this northern visitor remained faithful to the monument at the summit and delighted scores of birders who were able to feed it by hand. This was probably the most extensively photographed submission of the year and it presented no issues for the Committee. Cave Swallow (Petrochelidon fulva), #2007-50, November 23, 2007, Chatham (Barnstable), M. Iliff. (First ballot. 9-0). Three Cave Swallows were heard and poorly seen as they moved southwest from the base of South Beach towards Morris Island. Since the first state records in 2003 Cave Swallows have been recorded annually in November. Townsend’s Solitaire (Myadestes townsendi), #2007-28, October 24, 2007, Gay Head Lighthouse, Aquinnah (Dukes), L. McDowell. (First ballot. 9-0). #2007-47, December 24, 2007-February 23, 2008, Rockport (Essex), M. Duffy, J. Berry, M. Iliff (details), many photos. (First ballot. 9-0) The Aquinnah bird was probably in active migration as it was seen only on a single day; the Rockport bird lingered for two months and was seen by many. Black-throated Gray Warbler (Dendroica nigrescens), #2007-23, September 22, 2007, Manomet (Plymouth), M. Faherty. (First ballot. 9-0). A female individual was observed for a total of five minutes over a twenty-minute period and was well-described by an experienced observer. MacGillivray’s Warbler (Oporornis tolmiei), #2007-25, October 22, 2007, Brewster (Barnstable), S. Finnegan. (First ballot. 9-0). This bird was fortuitously captured and photographed by a bird bander. Although there are fewer than twenty-five total records for the East Coast north of Georgia, a remarkable fourteen of these have occurred in Massachusetts. Western Tanager (Piranga ludoviciana), #2008-05, January31-February 11, 2008, Brewster (Barnstable), Maddock, D. Berard (photos). (First ballot. 9-0). A homeowner reported this bird to Wellfleet Bay Wildlife Sanctuary, and an employee there was able to photograph it. A second bird was alleged to be present at the same location, however no documentation was submitted to the Committee. Henslow’s Sparrow (Ammodramus henslowii), #2007-24, October 6, 2007, Tyringham (Berkshire), M. Lynch. (Third ballot. 9-0). Two experienced observers only briefly observed this bird over several minutes; however, their description was sufficiently compelling to convince the Committee. Although this species historically nested in Massachusetts, it has become so rare that there are only seven reports in the last fifteen years. Hoary Redpoll (Carduelis hornemanni), #2007-45, December 30, 2007-January 1, 2008, Gloucester (E.P.) (Essex), J. P. Smith (photos), M. Garvey (details). (First ballot. 9-0). #2008-09, January 19-February 3, 2008, Readville (Suffolk), S. Jaffe, S. Walker (details). (First ballot. 9-0). #2007-51, December 23, 2007, Plum Island (Essex), L. Seitz. (First ballot. 9-0). #2008-06, January 5-February 25, 2008, Wellfleet (Barnstable), M. Faherty, D. Berard (ph). (First ballot. 9-0). In the winter of 2007-2008 thousands of redpolls descended on New England, including at least a few Hoaries. Although this species is notoriously difficult to separate from Common Redpoll, the Gloucester, Readville, and Wellfleet birds were well-photographed, and excellent details were submitted for the bird on Plum Island. Pacific Loon (Gavia pacifica), #2007-13, May 19, 2007, East Pt, Nahant (Essex). (Third ballot. 4-5). 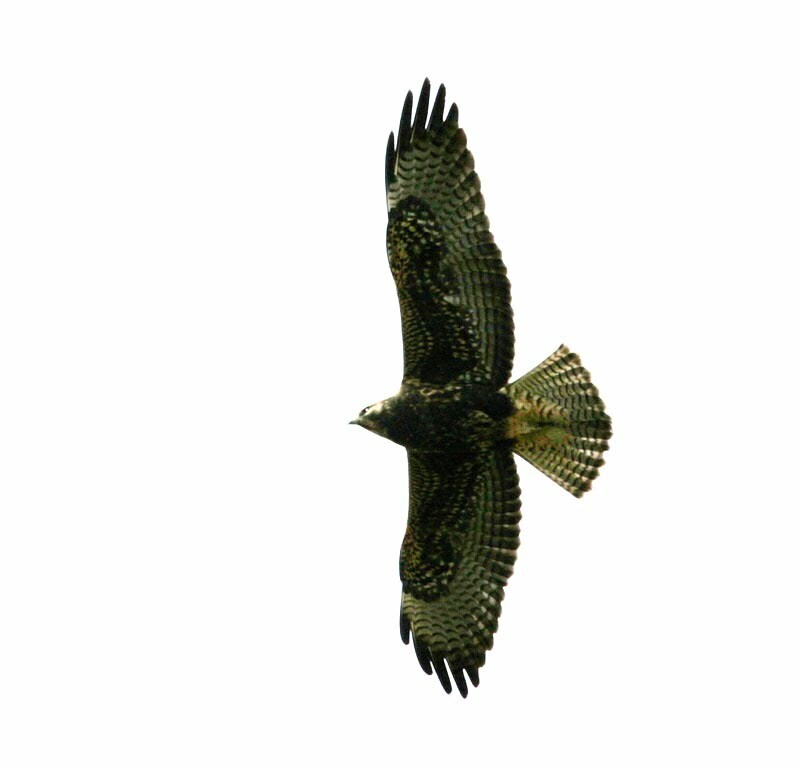 This bird was seen under extremely poor viewing conditions, and the Committee felt that the description did not eliminate other possible species. Eared Grebe (Podiceps nigricollis), #2008-11, March 21, 2008, Dorchester (Suffolk). (Second ballot. 2-7). The Committee felt that the description lacked sufficient details, and several members specifically commented on the difficulties involved in distinguishing between transitional Horned (P. auritus) and Eared grebes at that season of the year. Western Grebe (Aechmophorus occidentalis), #2007-29, November 2, 2007, Quabbin Park, Belchertown (Hampshire). (First ballot. 2-7). Three birds were reported, but this would have represented the first inland record and an exceptional report of multiple birds. The observers had never seen this species before, and Committee members were concerned that bill color was not noted. Yellow Rail (Coturnicops noveboracensis), #2007-37, October 1, 2007, N. Monomoy (Barnstable). (Second ballot. 3-6). Although the report was suggestive, the bird was seen only in flight and the observer failed to observe any white in the wing. Black Rail (Laterallus jamaicensis), #2005-59, December 31, 2005, Quaise, Nantucket (Nantucket). (Third ballot. 1-8). This bird was seen at 4:45 PM and the observer admitted that his view was “not ideal.” Given the species’ extreme rarity and unprecedented date in Massachusetts the Committee conservatively opted not to accept this record. Mississippi Kite (Ictinia mississippiensis), #2007-27, September 1, 2007, Blueberry Hill, Granville (Hampden). (Third ballot. 4-5). This species is extremely rare inland in the fall, and because of the distance and poor lighting conditions under which this bird was seen the Committee conservatively opted not to accept the report. Sharp-tailed Sandpiper (Calidris acuminata), #2007-21, August 26, 2007, Duxbury Beach (Plymouth). (First ballot. 1-8). The observer was candid about his lack of experience with this species, and although the description was consistent with Sharp-tailed Sandpiper, it was not complete enough for the Committee to accept. Franklin’s Gull (Leucophaeus pipixcan), #2008-14, June 5, 2008, Plum Island (Essex). (First ballot. 4-5). The observers did not make this identification at the time of the observation in the field. Although Committee members found the description interesting, it was felt that the identification after the fact created sufficient doubt not to accept it. Gray/Dusky Flycatcher (Empidonax oberholseri/wrightii), #2006-48, October 9, 2006, Tuckernuck Island (Nantucket). (Third ballot. 1-8). This bird was identified by structure and plumage but it was never heard vocalizing. The Committee felt that there is simply too much possibility for error in identifying fall Empidonax flycatchers to accept this report. Carolina Chickadee (Poecile carolinensis), #2008-13, May 14-June 8, 2008, Boston (Suffolk). (First ballot. 1-8). This identification was made primarily on the basis of the odd song of this bird. Accompanying song recordings seemed more consistent with an aberrant Black-capped Chickadee (P. atricapillus). Swainson’s Warbler (Limnothlypis swainsonii), #2007-16, May 9, 2007, Plum Island (Essex). (Third ballot. 3-6). Two weeks before a Swainson’s Warbler was mist-netted and photographed on Plum Island, an observer had a brief view of what was identified as a Swainson’s Warbler. Dissenting members felt that the description was not complete enough to accept the report, and several mentioned surprise that the observer had not made the sighting public. Western Tanager (Piranga ludoviciana), #2007-33, November 2, 2007, Falmouth (Barnstable). (Second ballot. 4-5). The description of this bird could not rule out an aberrant Scarlet Tanager with faint wing-bars. Lesser Goldfinch (Carduelis psaltria), #2006-62, September 3, 2006, Harvard (Worcester). (First ballot. 4-5). Although intriguing photographs were provided, they were of poor quality. Also, the accompanying written description said that the bird had no wing-bars and that it was larger than the American Goldfinches (C. tristis) with it. Heindel, M. T. and K. L. Garrett, 2008, The 32nd Report of the California Bird Records Committee: 2006 Records. Western Birds 39:121-152. The author thanks Blair Nikula, Davis Finch, Jeremiah Trimble, Marshall Iliff and Wayne Petersen for editorial assistance.